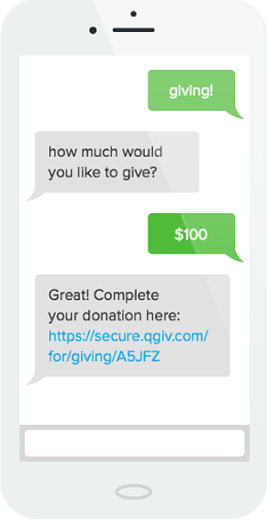 Many organizations use text-to-give and text-to-donate interchangeably to describe their text-based mobile fundraising methods. Although text-to-give and text-to-donate have similarities, key differences in the setup and donation process separate the two into completely different fundraising methods. Text-to-give is a carrier-based mobile fundraising method that allows supporters to give via text message. Supporters text a keyword to a shortened phone number (called a short code), and the donation amount is added to the supporters’ phone bill. The organization sets up a short code, campaign keyword and donation amount – limited to $5, $10, $15, $20, $25, $30, $40 or $50. 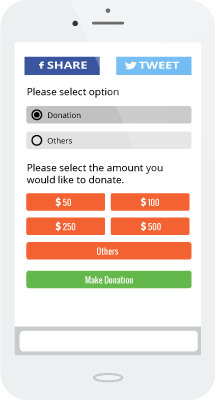 Sometimes, they can also set up recurring donation options. When a supporter feels inspired, they text the campaign keyword to the short code. The pre-determined donation amount is billed to the supporter’s cell phone bill by their carrier. The carrier processes the donations and transfers the total donations to the organization. The text-to-give process is completed through a few text messages, requiring little effort from your supporters. Organizations that qualify for text-to-give only need to set up a short code, keyword and donation amount. 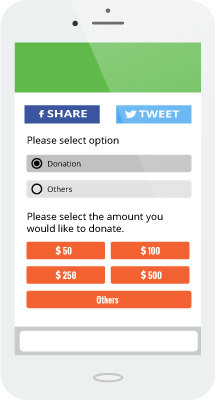 Text-to-donate is a form-based mobile fundraising method that is initiated through text message and ends when supporters enter their information on a mobile giving page. The organization will set up a campaign keyword and mobile giving page. When a supporter feels inspired, they text the campaign keyword to a short code. Supporters enter the amount they’d like to donate and receive a link to the mobile giving page. Supporters complete the process by entering their information on the mobile giving page. There are no minimum requirements, so organizations of all sizes and missions can use text-to-donate. Text-to-donate allows supporters to make custom donation amounts, set up recurring donations and offset processing fees. Qgiv's easy-to-use tools have helped more than 3,000 organizations make a difference. 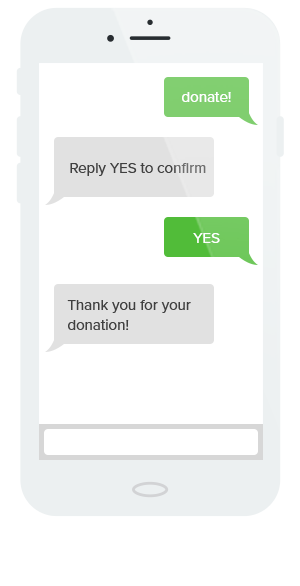 Although text-to-give and text-to-donate are different, both methods provide your supporters with an easy and convenient way to give. 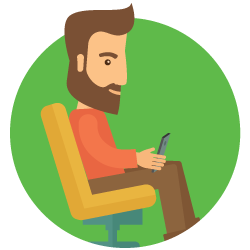 Text-to-give and text-to-donate are two of the most convenient fundraising methods out there. These days, nearly everyone has their smartphone on them at all times. Your donors can make a donation to your cause at home, in the office, at a fundraising event, or on the go. Supporters love text-to-give and text-to-donate because they’re so easy to use. In just a few steps, even the least tech-savvy supporter can quickly make a gift to your organization. Because this method walks users step-by-step through the giving process, you can dramatically boost donor conversion and reduce attrition. Your nonprofit can accept an unlimited number of donations and create as many fundraising keywords as you need, making text-to-give and text-to-donate two of the best ways to reach your cause’s fundraising potential. 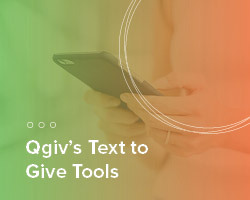 Learn more about Qgiv's text to give tools. Nonprofits love Text-to-Give and Text-to-Donate! Most nonprofit professionals will tell you that the best way to encourage giving from donors is to meet them where they already are. Whether you market to them on social media, invite them to events, or send them a fundraising email, there’s no better way to connect with donors than through their smartphones. Not only are text-to-give and text-to-donate popular fundraising methods among donors, they’re also two of the best ways to boost giving to your cause. Your donors can give more frequently because they’ll have a wider, more-accessible selection of giving methods to choose from. Since making a donation is as simple as sending a text, donors can give as soon as they’re inspired without spending time searching for a web-page or waiting to give on their desktop. With other methods, there’s always a delay between getting inspired to give back and completing a gift. Eliminate that delay and empower supporters to make their gift as soon as inspiration strikes. Since most individuals browse social media from their smartphones, social channels are the perfect channel to promote your text-to-give or text-to-donate information. Your nonprofit can share your fundraising phone number and keyword across sites like Facebook, Instagram, and Twitter. Not only does this help boost giving to your cause, but it doubles as a marketing strategy to increase the visibility of your campaigns on social media channels. Although fundraising letters are a pretty traditional solicitation method, your nonprofit can bring them into the 21st century by leveraging text-to-give and text-to-donate. Simply share your text-to-give or text-to-donate information in your direct mail outreach. This way, readers can give as soon as they read your letter, rather than needing to mail back a check or potentially exposing their credit card information on a remit slip. Pairing text-to-give or text-to-donate with fundraising events is the perfect way to capitalize on the excitement driven by your latest walk-a-thon, 5K, dance marathon, or other fundraising event. Even though your events happen person-to-person, empowering attendees by giving them text to give information lets them make a digital gift wherever your event may be. No cash or checks required! Peer-to-peer fundraising and text-to-give/text-to-donate go hand in hand. Since your peer-to-peer campaigns are driven by social media engagement, there’s no better way to quickly connect donors with a way to donate than using text-based donation methods. Your volunteer fundraisers can include your nonprofit’s text-to-give or text-to-donate information on their personalized fundraising pages. When they call on their friends, family, and coworkers to donate, they can share their giving page link or your campaign’s phone number and keyword. They can even add their name or other identifier to the event keyword so donations are credited to them. Because text-to-give and text-to-donate work so well with event fundraising, your nonprofit and its supporters can encourage text fundraising at your peer-to-peer fundraising anchor events. Churches love Text-to-Give and Text-to-Donate! Churches often feel that there’s a disconnect between their missions and the outside world. They want to grow the gifts they receive from their congregation, but it can be tough to connect with members without the right technology. Text-to-give and text-to-donate (which churches often call “text-to-tithe”) provide churches with a modern, convenient way to engage members as well as reach out to new individuals who may be inspired by your mission and interested in learning more. Traditionally, a large part of a church’s fundraising revenue has come through collection plate gifts during services. However, in an increasingly cashless world, congregants are more and more likely to skip Sunday giving if they can’t give digitally. Give your tech-loving congregation a way to give back by leveraging text-to-give or text-to-donate as a digital collection plate! Encourage members to text right from their pew to maximize the number of gifts to your church. By giving congregants a way to give back that fits into their daily lives, they’ll be more likely to give regularly, even if they’re on vacation or have to miss a service. Even better, your members will always have a direct line to your fundraising, so they can give whenever they’re called to support outside of the weekly collection during services. Because it offers individuals a fundraising channel on their smartphones, there’s no better way for your church to raise funds than through text-to-tithe technology. Check out Qgiv's church giving tools. 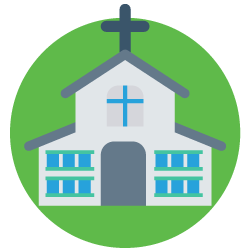 Empower your church fundraising events with Givi. Texting isn’t the only mobile fundraising method out there. For churches looking to expand their giving methods, there’s an app for that — Givi. Givi is a giving app that’s especially well-suited for church fundraising needs. Churches (and other nonprofits!) can use this platform to create customized giving pages that congregants can access anytime, anywhere. Just like with text-to-give and text-to-donate, your congregation can use Givi to make on-the-go gifts wherever they are, including at your church’s services and events. With Givi, your members can create giving accounts that save their payment information and tracks their giving history. This way, they only need to enter their credit or debit card information once. After that, they’ll be able to make a gift to your church whenever they want. Your keyword will be how your donors’ text donations will find their way to your organization specifically. It couldn’t be more important to optimize it! While your keyword will need to be somewhat unique to work (basics like “DONATE” and “CHURCH” are likely already taken), you should still choose a common word. If your keyword is too out there, autocorrect will likely adjust it or donors will miss-type it. Those blunders will reduce the chances that donations will actually make it to your organization. 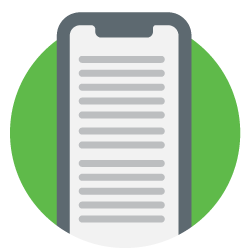 Your donors will use your text-to-donate giving page on their phones, so it’s crucial that your organization has designed your form with mobile users in mind. While most services will automatically make your page mobile-responsive, there are still a couple of things you can do to ensure your page looks and functions great on mobile. Minimize required fields, use large text, and don’t cram your page with design elements to keep your form easy to complete (and maximize conversion rates!). 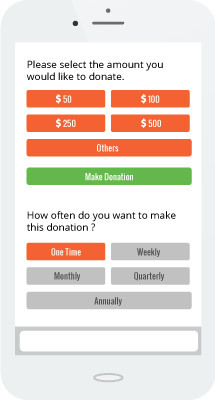 Another part of maximizing completed donations is keeping your donation page as short as possible. Brevity is especially important on mobile, where forms are more difficult to fill out. Although it can be tempting to collect additional information about your donors, keeping required fields to an absolute minimum will help you raise more through text-to-donate campaigns. Your donors’ names, contact information, and payment information should all be required. If you want to include other fields, make sure they’re optional or, better yet, include them in a follow-up donor survey instead. With many text fundraising services (Qgiv included), nonprofits can place a field on their donation form that donors use to set up automated recurring gifts. If your nonprofit has access to this feature, take advantage of it! You can even set multiple giving schedules to provide donors with more flexibility. Automating recurring gifts makes it much more convenient for your donors to give on a regular basis—and there’s no risk of them forgetting to do so! 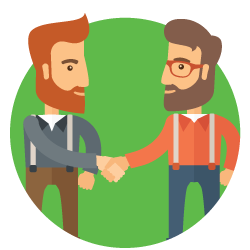 The challenge organizations face with text-to-give is the qualification process. Organizations submit an application, pay an application fee and must meet a minimum fundraising requirement per year ($500,000/year). Text-to-donate requires supporters to visit a secure giving page to complete the donation process. This process is quick and easy for supporters, but, compared to text-to-give, it’s an extra step. For the organization, you’ll need to set up a giving page through your text-to-donate platform before you start fundraising. 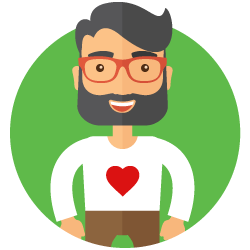 Qgiv’s easy-to-use platform makes it easy for you to set up a giving page, and you’ll be able to customize the giving page and form! Qgiv is the perfect partner for nonprofit organizations of all shapes and sizes. 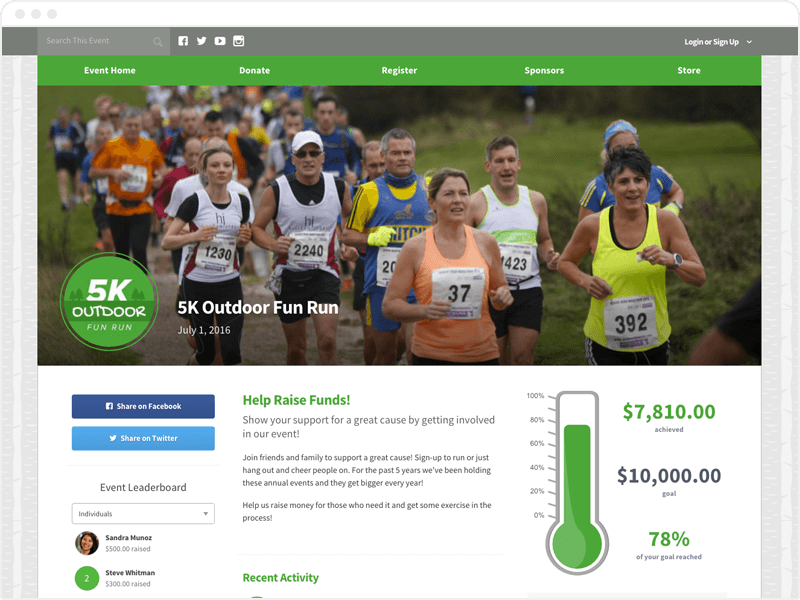 With Qgiv’s comprehensive platform of smart fundraising tools, your nonprofit can rest assured that you’ll have access to all the online fundraising tools you need to grow your cause and fund your mission. 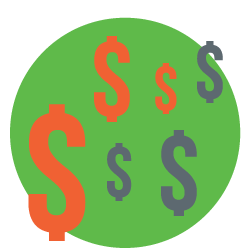 With Qgiv, there are no hidden fees. Set up is quick and easy, so you won’t have to wait weeks or months to get started. Qgiv is the leader in text-to-give and text-to-donate technology. Take a look at everything we have to offer by learning more about our robust text fundraising tools. Learn more about text fundraising! Text fundraising is an important part of any digital fundraising strategy. 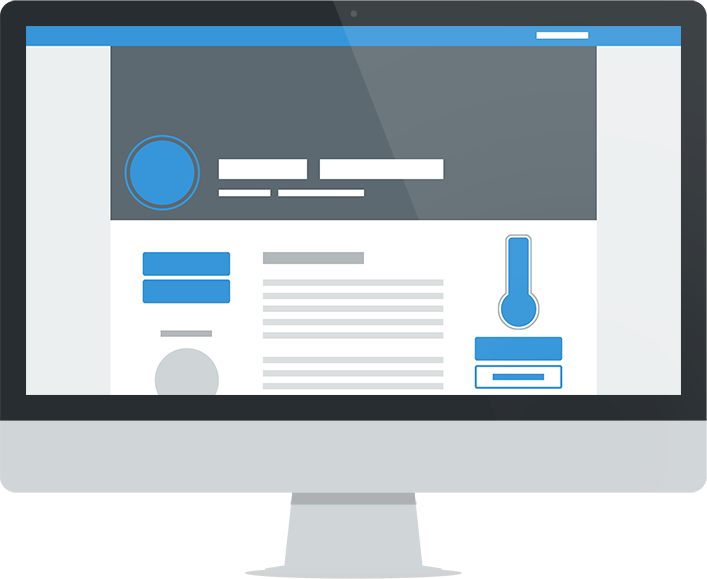 Check out our favorite online donation tools to take your fundraising even further. See our top online giving tools! 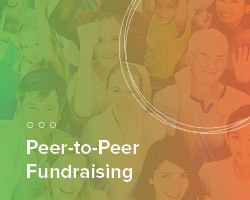 Interested in learning more about peer-to-peer fundraising? Read our in-depth guide to find out how your nonprofit can leverage this social media-driven fundraising method. Read our P2P fundraising guide!